Jon's EZ Lube has been a premier auto repair shop in Denton TX for decades. 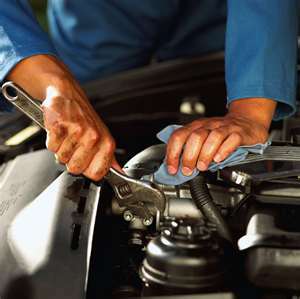 Our mechanic has been in the auto repair business for over 30 years. So there’s nothing he has not seen as an auto repair mechanic. So, you see, we can perform the maintenance that meets your specific needs. We're committed to diagnosing your vehicles problem, and repairing it as quickly and as cost effective as possible. We'll customize a maintenance programs to optimize your vehicles performance. Our repairs are backed by a warranty period. Complimentary shuttle service to home, work, or school and back (within a 10 mile radius of our shop). We use of state-of-the-art computerized equipment to diagnose your vehicles problems. We maintain your maintenance records, ensuring the most cost effective preventive maintenance for your vehicle. Payment terms include all major credit cards and personal checks. Stop in and talk to Jon or Ralph about your vehicle problems. You will see why you will want to make Jon’s EZ Lube your next, and last Denton auto repair shop.